DESCRIPTION OF THE BOOK: Acclaimed author and Pura Belpré Award honoree Lulu Delacre’s beautifully illustrated collection of twelve short stories is a groundbreaking look at the diverse Latinxs who live in the United States. In this book, you will meet many young Latinxs living in the United States, from a young girl whose day at her father’s burrito truck surprises her to two sisters working together to change the older sister’s immigration status, and more. MY TWO CENTS: There are twelve stories in this collection, each a beautiful snapshot of life, family, tragedy, and transformation. Each story is inspired by real events and people, some the author knew personally. Included at the end of the book are links to the original articles that inspired each story. The stories begin with a refrán, a familiar Spanish saying that connects with the paired story. A mixed-media portrait also accompanies each story, further personalizing the characters for the reader. Each portrait is intentionally left unfinished to illustrate the idea that each person is a work in progress. Here is just a peek at a few of the twelve vibrant stories in the collection. Emilio and José begin this collection in “The Attack.” Twin brothers, whose emotions are closely tied together, watch as their mother works tirelessly to support their older brother’s epilepsy needs. As the story opens, we find out that the twins’ brother, Tony, has been experiencing more and more frequent seizures, and this becomes the source of the main conflict in “The Attack.” During one violent seizure, Tony — holding a knife for cutting fruit — unintentionally harms himself. Frightened, the twins call 911, and soon, officers arrive on the scene to find a bleeding Tony, knife in hand. Then, through a series of miscommunications, an officer is injured, and Tony is charged with assault on an officer. The family is then faced with the uncertainty of what a lawsuit will mean for their family and their lives in the United States. In this short opener, I was brought into the fabric of this family’s heartaches and struggles and I found myself heartbroken fabout they choices they face. In “Selfie,” 13-year-old Marla is desperate to avoid the same fate as her mother, dependent on insulin shots to treat her diabetes. Showing signs of pre-diabetes, Marla is self-conscious about the dark patches that develop on her skin. She is particularly sensitive to the dark patches showing up when she and her friends take photos and selfies. She knows that a healthy diet and exercise are key, but healthy food is expensive and can’t often be found at the Food 4 Less, the discount market where Marla’s Mamá shops the sales once a month. So, when an opportunity to work her way toward a bike of her own comes up at the local bike club, Marla tries to convince her mother to let her make the 40-minute bus ride by herself. With the help of a supportive teacher and the hope that her Mamá will give her blessing, Marla begins to see how much strength she has. If you haven’t fallen in love with the collection yet, you will in “Burrito Man,” the fourth story in the collection. On Take Our Daughters to Work Day, Alex wishes she could be anywhere but with her father, “just a food-cart vendor.” Up at 4 a.m., Alex thinks about her friends enjoying air-conditioned offices instead of melting in the heat and being bombarded by the sounds of traffic all day. But Alex’s disappointment doesn’t get her Papi down; he tells her it is going to be a great day because of her. As the day goes on, and the temperatures rise, Alex is floored as one customer after another not only greets her Papi like family, but seems honored to meet “the famous Alex!” Alex is impressed by the way her father treats his customers, remembering minute details about their lives. She is equally embarrassed to find out that her father gushes about her regularly to these strangers. However, teenage humiliation is transformed into pride by the end of the story for what her father has built on his corner. In “Band-Aid,” we find Elena, whose world is turned upside down when her Papi is picked up by la migra and deported to Honduras. She not only has to face the devastating loss of her father, but also her home, school, and best friend when her mother is forced to move her family and work long hours to make ends meet. Soon, hope arrives in the form of la gran madre, Doña Sánchez. Elena’s mother knows that her children, US citizens, would be safe under the care of la gran madre if she were to be deported. But safety comes in the form of signing over legal guardianship to Doña Sánchez. Elena agonizes at the thought of her family being further torn apart, but she knows the decision lies with her mother. This important story shines in this collection as a beautiful and tragic reminder of what politics is doing to families living here. “Pickup Soccer,” written in verse, at first, seems to be just a fun ode to fútbol. The narrator, Hugo, wants to be a famous commentator, and we see his neighborhood through his eyes as he and his cousin Hector make their way to the “old neighborhood field.” But, look closer, and you will see that in Hugo’s fast-paced descriptions are signs of of gentrification in the Mission neighborhood. Soon, the neighborhood kids are faced with being kicked off the field by techie start-up guys, including Hugo’s cousin Hector, brandishing a reservation permit through the new City of San Francisco app. Insults start flying, and Hugo knows he must think on his feet, like a true sports commentator, to help both sides coexist on and off the field. The collection closes with “90,000 Children,” a transformative story about a young boy, Frank, dreaming of the day when he can follow in his father’s footsteps as a border patrol agent. The story’s title references the statistic shared by Frank’s father, that 90,000 unaccompanied minors would be entering the United States by the end of the year. One day, while out with his father, Frank encounters a young girl by herself outside of a saloon. He is drawn to her and further intrigued by an illustration she shows him of a beautiful landscape, an illustration she gives him to keep. After that day, Frank can’t stop thinking about the girl, and what became of her. He struggles with his complex feelings of prejudice toward immigrants and awe at his impression of the young girl after spending only a few moments with her. Woven throughout this story are the complexities of discrimination not only between Frank and the people his father encounters every day, but the discrimination at play in Frank’s own family, between verdadero Francisco Spanish blood and Mayan “indiecitos,” as Frank’s grandfather says. Frank’s transformation is not only evident in his changing actions and words, but in his perception of the work his father does at the border. This book in the hands of kids is an exciting prospect. Individually, you could delve into each character’s story, reveling in the rich development of character, place, and voice. As a whole, imagine the conversations around Lulu Delacre’s robust writing. Further, readers will be captivated with the true elements of these works, all found in the “Notes on the Individual Stories” section at the back of the book. But let’s end with the front of the book. The beautiful cover artwork, in combination with the title, sends a message to all of our kids that this book is for all of us. ABOUT THE AUTHOR: Three-time Pura Belpré Award honoree Lulu Delacre has been writing and illustrating children’s books since 1980. Born and raised in Puerto Rico to Argentinean parents, Delacre says her Latino heritage and her life experiences inform her work. Her 37 titles include Arroz con Leche: Popular Songs and Rhymes from Latin America, a Horn Book Fanfare Book in print for over 25 years; and Salsa Stories, an IRA Outstanding International Book. Her bilingual picture book ¡Olinguito, de la A a la Z! Descubriendo el bosque nublado; Olinguito, from A to Z! Unveiling the Cloud Forest has received 20 awards and honors including an NCTE Orbis Pictus Honor and an ALA Notable for All Ages. Her most recent title, is Us, in Progress: Short Stories About Young Latinos. Delacre has lectured internationally and served as a juror for the National Book Awards. She has exhibited at The Eric Carle Museum of Picture Book Art; The Original Art Show at the Society of Illustrators in New York; the Museum of Art of Puerto Rico and the Museum of Ponce in Puerto Rico among other venues. 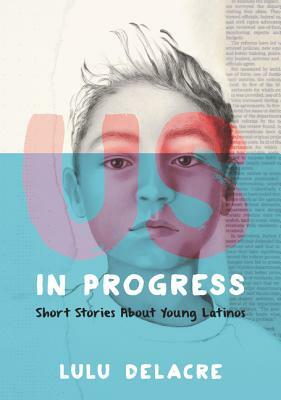 Us, In Progress: Short Stories About Young Latinos has been recognized as a Kirkus Best Book of 2017, a New York Public Libraries Best Book of 2017 and a Los Angeles Public Libraries Best book of 2017. It has also been awarded a Malka Penn Honor for Human Rights in Children’s Literature.